Wintertime Backyard Nature in New Jersey. It snowed last night, but only about an inch. By afternoon, the snow melted and/or evaporated. 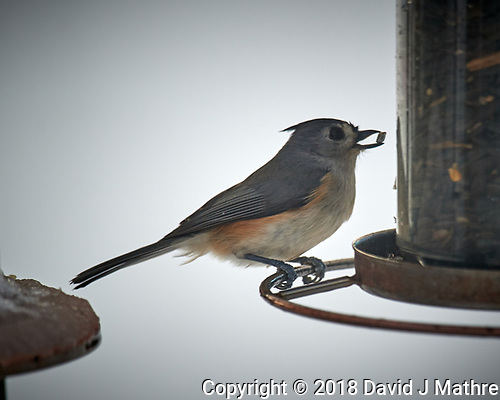 A number of small birds (Dark-eyed Junco, Marsh Wren, Black-capped Chickadee, Tufted Titmouse), and a Blue Jay visited the bird feeder. A Red-bellied Woodpecker chased the Blue Jay away. 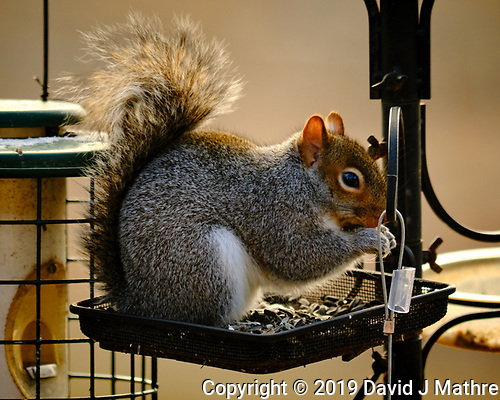 Later on a Squirrel got up onto the bird feeder to feast on some sunflower seeds. The predicted winter snowstorm didn’t happen. When I woke up there was barely a dusting of snow on the ground. Once the sun came out there were lots of birds at the feeders. Dark-eyed Junco, Mourning Dove, Marsh Wren, Red-bellied Woodpecker, Blue Jay, House Finch, Tufted Titmouse, and Northern Cardinal. 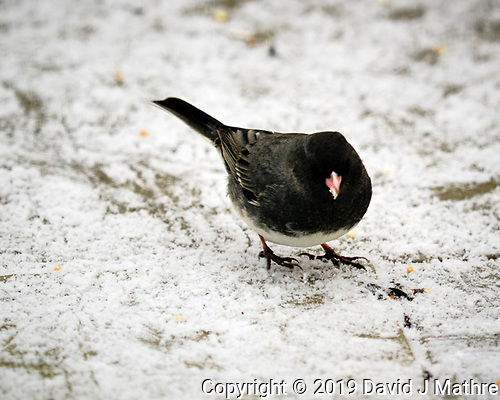 I wasn’t able to get any suet at the meat market this week. They gave me some pork fat instead. Initially the birds ignored it. The Red-bellied Woodpecker, Tufted Titmouse and Marsh Wren finally started to nibble on it. 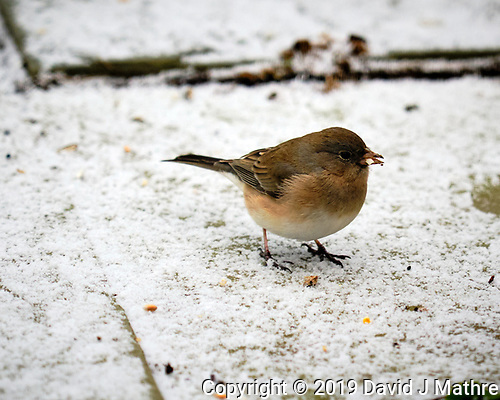 Snow from the previous day melted quickly, and the birds were back at the bird feeder. American Goldfinch, Tufted-Titmouse, Blue Jay, and House Finch.